Why are you called 77 Diamonds? In 1477, the first diamond ring was given as a gesture of “will you marry me” by Archduke Maximillian to Mary of Burgundy. 1477 was too long so we shortened it! Also 77,000 miles per second is the speed at which light passes through a diamond. The company was formed in 2004 and we will shortly be celebrating our 15th anniversary. Where is your Mayfair Showroom located? We are located on the 2nd floor of Harbridge House, 3 Hanover Square, London W1S 1HD (above Citi Bank). We are open 10am-7.30pm Monday – Thursday, 10am – 6.30pm on Fridays and 10am-5pm on Saturday. We operate a by appointment only system in our showroom so contact us on +1 6466641934 to book an appointment. Regarding pricing: in what currency is your price list fixed? Does is also fluctuate in accordance with underlying diamond market prices? Diamond prices are listed in accordance to the dollar so can fluctuate on a daily basis as the dollar rate shifts – but by a marginal amount. Our prices are constantly checked to ensure they are harmonised with the current diamond market. Some stones that are not suitable for engagement rings may be suitable for other uses – such as being set in jewellery where the inclusions aren’t as visible – such as earrings, or setting in yellow gold where the colour isn’t as noticeable. What does additional pinpoint not shown means? This means that within the diamond there is a minute pinpoint within the stone that is too difficult to mark on the reference diagram because of its small size. What does additional clouds are not shown means? This means that there are clouds within the stone that are again too small to be highlighted on the reference diagram. Why is there a price difference between these diamonds (all same cert and specs)? Because we source from such a high percentage of the global diamond market, some diamond manufacturers are priced differently to others – essentially the items will be identical but they are just priced differently! In general, EGL is not as strict as GIA and can be two or three grades lower in both colour and clarity, and you may find a colour and /or clarity grade difference if the same diamond was sent off to GIA. Due to this, diamonds graded by EGL can be found at lower prices, as a colour and clarity grade difference can make up to 15-25% difference in price. In general, a diamond is sent off to EGL when a manufacturer believes they have a borderline diamond and want to achieve the higher grading. However, EGL diamonds can offer tremendous value and the quality will be beyond question as long as the clarity is VS1 or above and the colour is F and above (the diamond will be colourless and have no visible impurities). All the diamonds sold by 77 Diamonds are 100% natural stones. The diamonds as advertised on our website have been purchased from legitimate sources not involved in any funding conflicts. Please note that these stones are in compliance with the United Nations Resolutions and the Kimberley process. We at 77 Diamonds guarantee that our diamonds are conflict free based on personal knowledge and/or written guarantees. Once your diamond has arrived in our showroom prior to setting we can definitely arrange for you to view the stone before it is set into the jewellery. 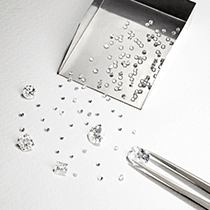 With GIA certified diamonds, IF, VVS1, VVS2, VS1 and VS2 are considered eyeclean with a smaller percentage of SI1 and SI2 stones also being eyeclean. With EGL certified diamonds, IF, VVS1, VVS2, and VS1 are considered eyeclean with a smaller percentage of VS2 and SI1 stones also being eyeclean. Contact our sales team who can verify the stone’s clarity for you. Why does the price increase when the ring size is above N for an Eternity ring? 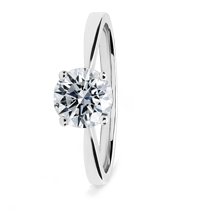 The additional cost covers the extra metal weight and any additional diamonds. Why do you charge customers £100 for rushed orders? If we are able to expedite your order, the small fee is required to prioritise your jewellery in our workshop. Why do some rings require a CAD drawing to be produced? We need to CAD some jewellery designs in order to realise the proportions needed prior to casting – changing a jewellery piece after it is cast is a difficult and expensive process. Why do your vintage styles take 5 weeks to be produced? Because of the intricate nature of some of our designs there are a few of our rings that take 5 weeks to produce because they are cast to order based on the finger size (if known) and the measurements of the centre stone chosen and all the side stones are hand set. Should you have a particular jewellery design in mind that does not currently exist in our jewellery collection, you can contact our designer with your ideas who will then discuss with you directly the options for your piece and provide you with a quote. The majority of our items take approximately 10-15 working days with some of our more elaborate pieces taking 5-6 weeks. Should you have a particular deadline in mind, you can always contact us and we can check to see if this can be accommodated. Yes engraving is priced at £25 per ring(inc VAT) with the maximum of 12 characters, you can also choose from a selection of fonts. Contact our sales team directly to provide you with the font list. We offer the majority of our jewellery in 18k Gold (white, rose and yellow) and Platinum. Because of the density of platinum there are some more intricate pieces that cannot be produced in Platinum. 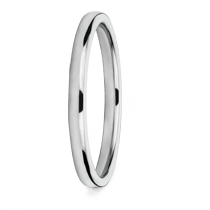 Some of our wedding bands are also available in Palladium. When newly produced, both Platinum and White Gold are the same in appearance. Platinum is a denser metal so therefore feels a little more substantial in weight. White gold is less prone to surface scratches than Platinum, but in turn would need replating. Can you manufacture your jewellery with stones other than diamonds? We have made our jewellery with many kinds of gemstones and semi precious stones in the past, contact us directly if you have particular request and we can try to accommodate it. Resizing takes approximately 10-15 working days from the day we have received your item. Why can you not dispatch an order paid with Deko/PayPal to an alternative address? For security reasons dictated by both PayPal and our finance provider Deko, we are unable to delivery to an alternative delivery address. Yes, please get in touch and we will book you in for a short appointment for your collection. Yes, please get in touch and we will book you in for a short appointment for your resize. Can I place an order online but collect from the Mayfair showroom? That is not a problem; you just need to select Collection at the checkout (unless paying by PayPal or Finance when all orders must be sent to the billing address. Once your item has been dispatched we will email you a tracking number and an online link so you can trace the delivery status of your order. Should you have a particular deadline in mind, please contact us and we can check to see if this can be accommodated. All items are delivered in discreet packaging – Royal Mail packaging for the UK and FedEx for overseas delivery. All items have our senders address listed as “77 Ltd” for security and insurance purposes. All items are sent via Royal Mail to the United Kingdom and via FedEx for overseas delivery. We can always ship to an alternative address unless the item is purchase using PayPal or through a Finance plan – this is because of the regulations set by both payment providers. For delivery within the UK, all items are delivery via a next day delivery service, for continental Europe it is 1-2 days, and for the rest of the world it is 2-4 days depending on the specific country and the customs clearance involved. We ship internationally via FedEx. Unfortunately due to import sanctions we are unable to ship to Russia and some African nations. Please contact us for further information. Should there be any issues with the delivery of your item, 77 Diamonds will notify the relevant delivery service and open an investigation on your behalf. We accept all major credit/debit cards (we can only accept American Express for UK customers), PayPal, Bank Transfer and Finance Options. How are you 75% cheaper than the high street? In November 2013, we conducted a mystery shopping trip and visited a range of competitors in-store including H. Samuel, Ernest Jones, Wempe, Tiffany & Co*, De Beers and Boodles. We asked them to quote on a range of GIA diamonds and compared that to the equivalent price of GIA diamonds on 77 Diamonds website**. We found that we were between 37% to 75% better value or on average 56% better value across the entire range of diamonds and stores. * We assume Tiffany graded diamonds are equivalent to GIA. ** Allowing for the cost of the ring where applicable. At 77 Diamonds, we understand price is important, and that’s why we are determined to get it right for our customers. More than being never knowingly undersold, we go a step further. We regularly check the prices of our competitors to ensure that we always offer the best quality for the price in the market. If you see a diamond or a piece of diamond jewellery at 77 Diamonds and you then find the exact same item available at a lower price from one of our competitors, we guarantee that we will not just match that price, we will offer you a price that is 1% lower up to a maximum value of £50 / €55 / USD $80 lower. All prices listed on our website are inclusive of VAT and there are no charges for postage and packing. You may be subject to local duties and taxes if your item is being delivered outside of the EU. Why are your diamonds are so much cheaper? We source our diamonds directly from the diamond manufacturers that produce the stones globally which means we can offer the stones at almost a wholesale price to the retail market. As a predominantly online company our overheads are much smaller which means we can offer our stones at a more competitive price. Can I make payment using Klarna? For some purchases we do accept Klarna. This is subject to the currency and value of items in your basket. Please see a breakdown in the table below where the max. value accepted per order is shown. Klarna is not available on the purchase of Loose Diamonds. For jewellery insurance, you should always check your home and contents insurance as you may already be covered. Alternatively, TH March is the insurance company we recommend as they specialise in jewellery care, you can get a quote from them at TH March or 01822 855555. Quote “AS179T” and they’ll know you’ve bought from a legitimate source. Are you registered with NAJ? Yes, we are an accredited member of the National Association of Jewellers – 77 Diamonds is one of the first online jewellery retailers to become a member. We are required to see a copy of your passport and visa to demonstrate you are a valid citizen that resides outside of the EU. You are eligible to claim the tax back should you live outside of the European Union. You would be required to collect your purchase from our showroom in order to gain the tax reclaim form and to provide us with your identification. How does the 30 day refund guarantee work? Your 30 days money back guarantee begins the day you receive your item and you have 30 days to return your item for an exchange or refund should your item not be suitable. Earrings are exempt from this policy due to health and hygiene reasons. Should you be required to return your item for a resize, do contact us directly and for the United Kingdom we will provide you with the returns details for Royal Mail delivery and for non-UK we will arrange a collection of your item via FedEx. In the event you wish to cancel your order, please contact us directly on +1 6466641934 and our sales team can assist you.